I woke up earlier than usual Saturday morning, anticipating a day of bliss and healing as I was about to take a Reiki Level 1 course. My best friend Ciara and I had been talking about taking Reiki classes together for a long time, and finally the stars had aligned! 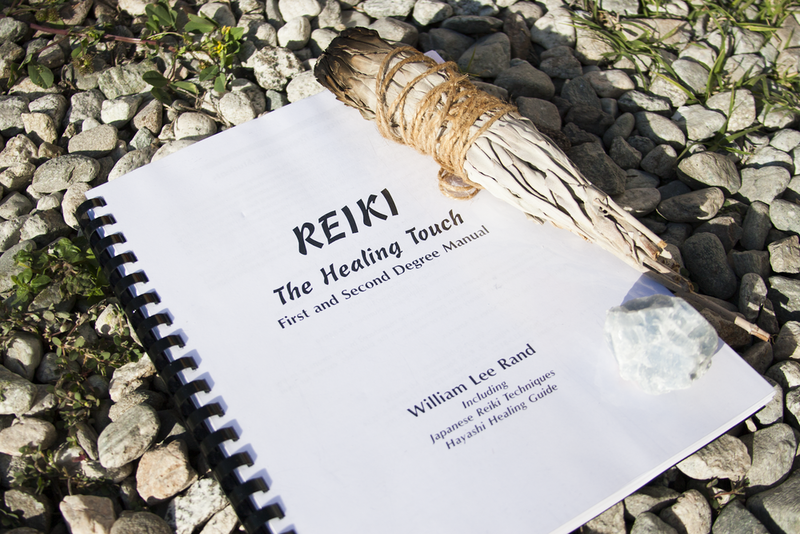 Reiki has always been something near and dear to my heart. As a lover of healing and connection with the inner spirit, I have long studied Psychology, self-improvement and spirituality. What has always stuck out to me is how powerful our chakra centers are in creating our reality. Our lives seem to mirror the alignment and fluidity of our chakras. 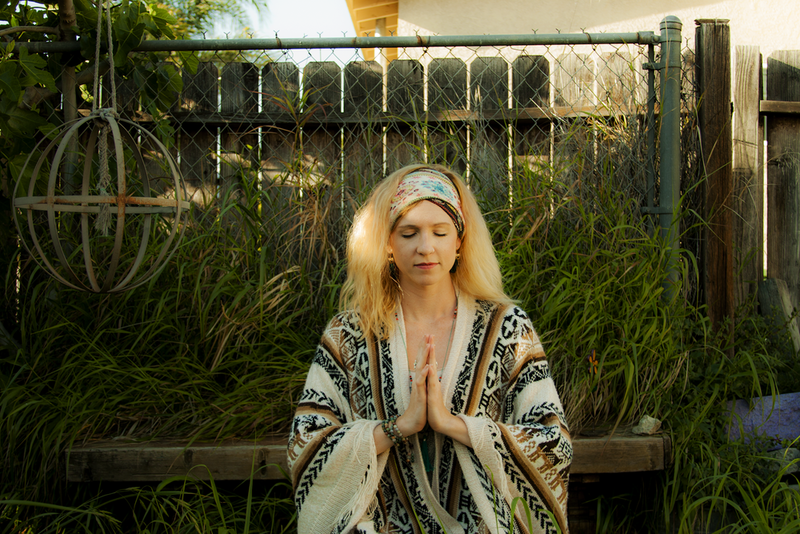 I couldn’t think of a better way to connect to divine energy and get in touch with chakra healing than to gain the tools and insights of sacred Reiki healing arts. We arrived that morning at Christa Galactica’s magical home in Long Beach. It was easy to spot with chakra symbols adorning her large window overlooking the front yard. We walked up the steps and were immediately welcomed with open arms. The women were all so excited that we were there which furthered my own excitement and anticipation for what was to come. We began our day outside, the patio mirroring the house on enchantment. All things in view were conducive to manifesting positive vibrations. Above us were pyramid pole structures creating a feeling of total protection. We were led through a beautiful meditation by the mystical Ms. Galactica. She beat the drum and gifted us with with rhymes of divine teachings. My mind led me to what my intentions were for receiving Reiki attunement. I longed to be close to the divine, to have tools and knowledge for healing myself so I may help heal others. As Ms. Galactica spoke of our ancestors and guides joining us on our journey that day, my father came to me in my mind’s eye. I saw his charismatic grin giving me a look of approval and contentment. My father passed away a couple years ago, and whenever he has come to me in this way I have the strong feeling that I am in the right place. After the meditation, Kristianne enriched us with knowledge about the history of Reiki, Dr. Usai, and what had unfolded before us receiving Reiki attunement that blissful Saturday. We learned the Reiki pillars and mantras to live by each and every day. Being full of new wisdom, it became time for our attunement. We practiced Reiki on each other and my blocked chakras felt even more release. What an amazing feeling it is to be in tune with the energies and aura of another being, acting as a channel for positive energy. One thing that really stuck with me is something Kristianne taught us, we are merely the vessels for the divine to travel through, it is not us doing the healing. What a humbling thought as sometimes the ego wants to take responsibility.